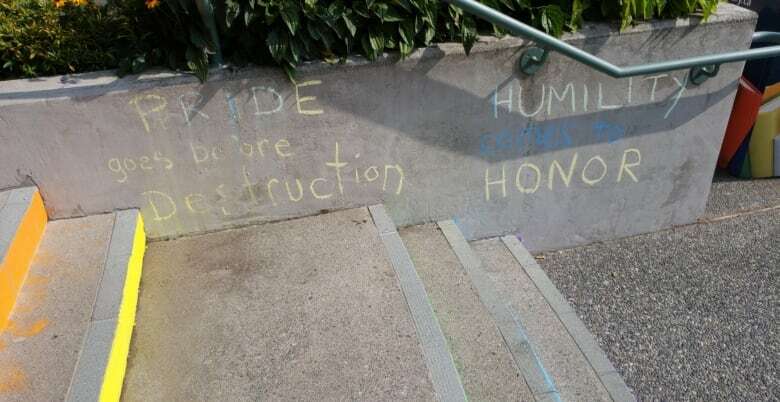 The steps of the Richmond Cultural Centre, painted rainbow in honour of Pride Week, were defaced Friday morning by chalk messages using biblical language. 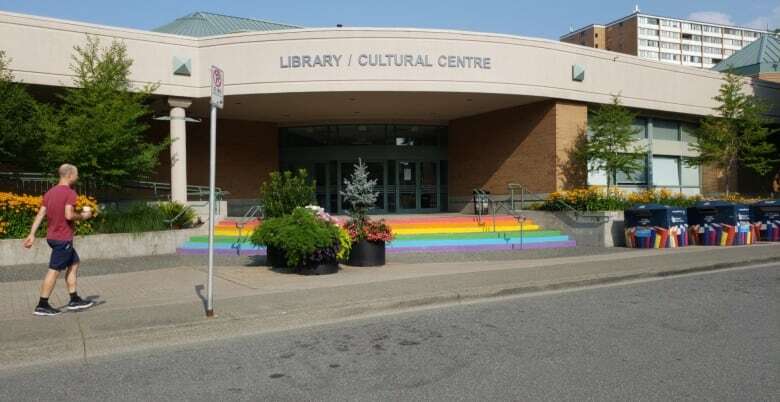 Richmond resident Haytham Soliman said he was walking to the library on Friday when he noticed the rainbow steps — a project completed by youth participating in programs at the Richmond Cultural Centre. He stopped to snap a photo, then noticed the graffiti. 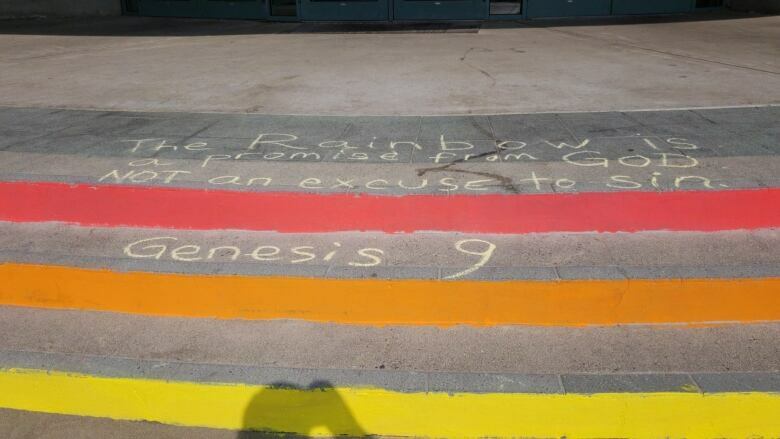 "The rainbow is a promise from God, not an excuse to sin," one statements reads. Though it is presented as being from Genesis 9, it is not a quote from the Bible. "Kids come here, there's lots of children, we don't want to see this," said Soliman. "This is too much hate on the steps of a library, where people come to educate themselves." In a statement, Ted Townsend with the City of Richmond said the messages were erased as soon as staff were made aware of them, and the incidents were reported to RCMP. "The graffiti wording largely used biblical quotations and were anti-gay and anti-Pride in tone," he wrote. "It is unfortunate that these incidents are happening in our community, since the goal of recognizing Pride Week is to encourage inclusion at our facilities and respect for diversity. We encourage everyone to practise tolerance and not discriminate against others whether it be because of ethnicity, religion, sexual orientation or other reason." The Richmond Cultural Centre did not immediately respond to CBC's request for comment.